Now that spring is in full swing, I am starting to break out my open-toed shoes and sandals from my closet. I must say, it feels good to liberate my feet from the confines of the more "oppressive" footwear associated with fall and winter. It's refreshing to embrace more colorful, playful prints and patterns shoe-wise, as well as wardrobe-wise. That being said, as fun as it is to discover my spring footwear collection each year, spring also leads to the mischief in me and the yearning to acquire new things for the season! 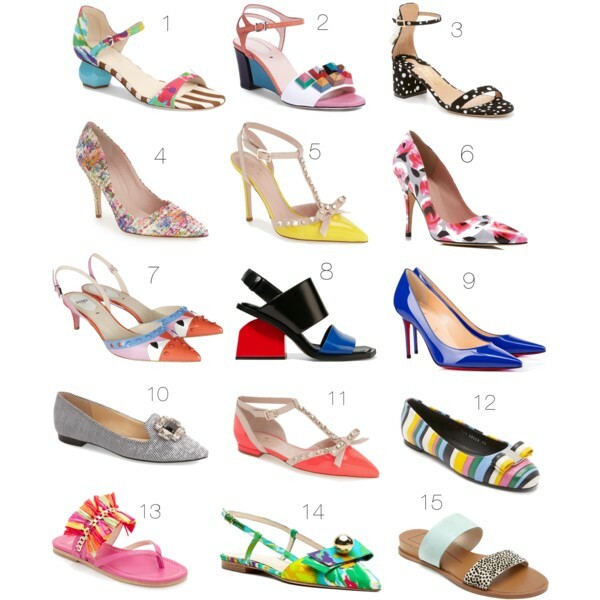 Below you will see some of the shoes I've selected from spring, all of which my feet are just dying to get into for spring! These sandals are so fun! I love all the colors and prints!